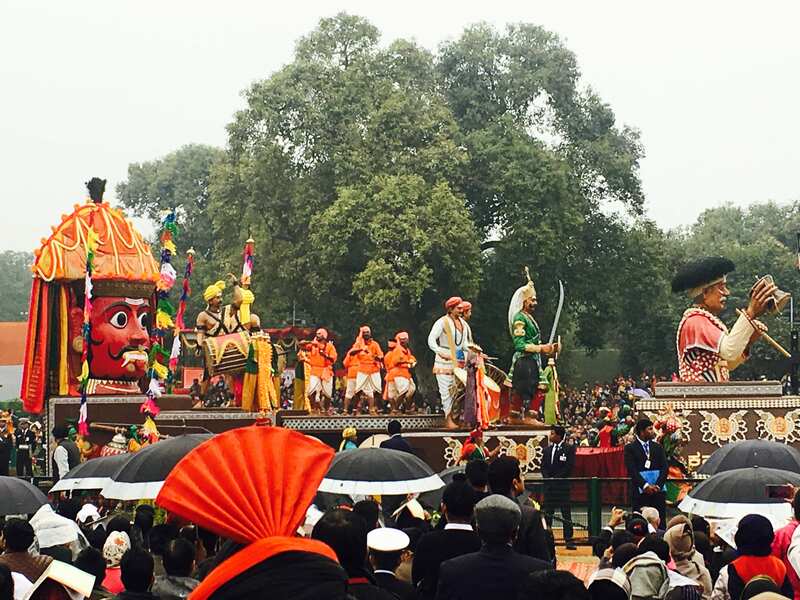 The parade showcases tableaux from different Indian states. Source: Deepika Soni. 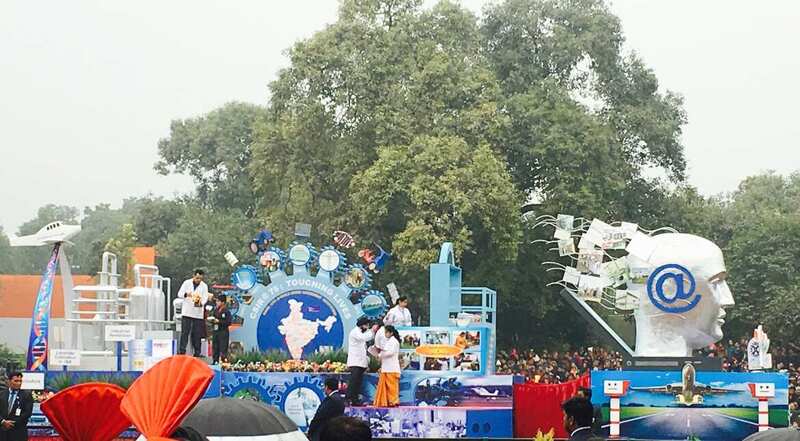 Homage is paid to a range of Indian trade workers. Source: Deepika Soni. India's modern aspirations are on full display. Source: Deepika Soni. 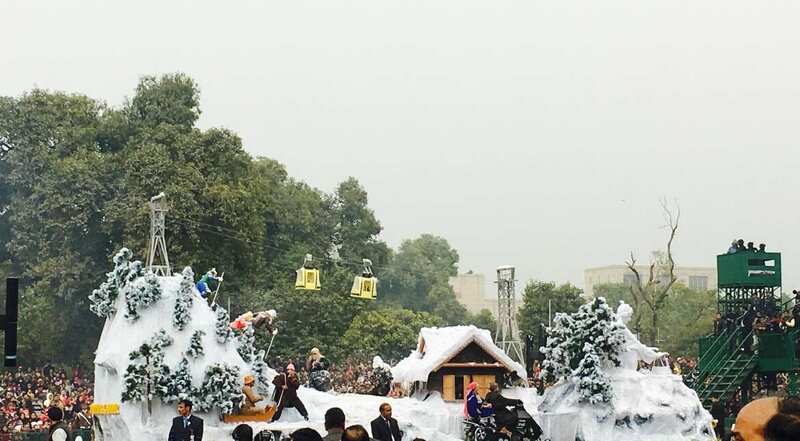 A float presents the northern, mountainous regions of India. Source: Deepika Soni. 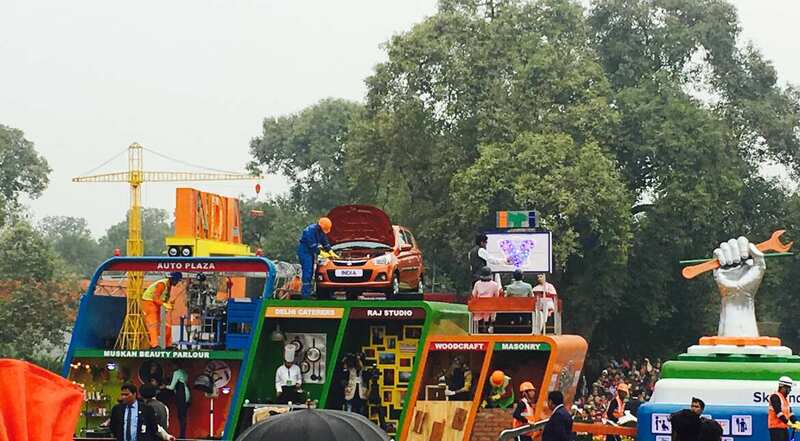 The crowd appreciates a cross-section of India. Source: Deepika Soni. Army helicopters fly through. Source: Deepika Soni. Soldiers march pass the spectators. Source: Deepika Soni. 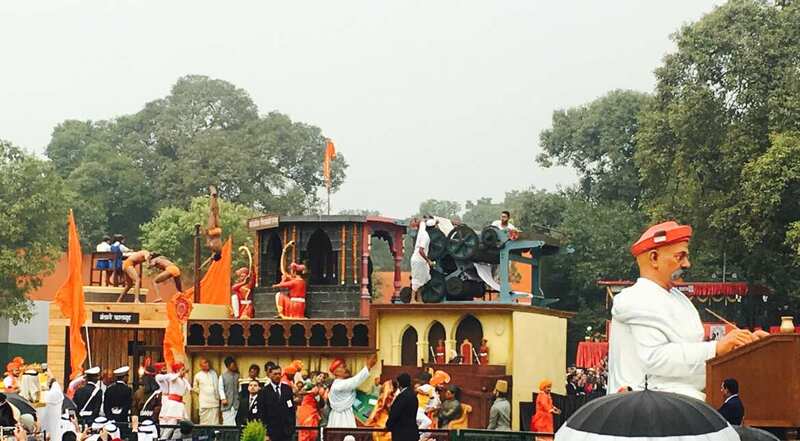 The Indian Army's heavy artillery is showcased. Source: Deepika Soni. Camouflaged army tanks roll along. Source: Deepika Soni. 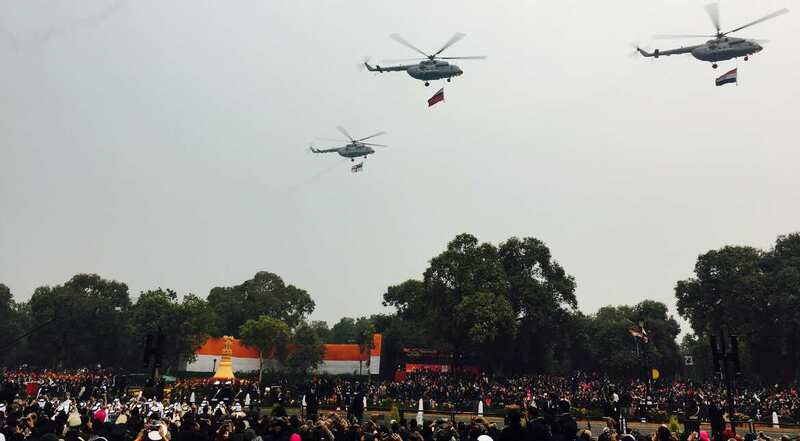 Indian Army helicopters fly over, waving flags. Source: Deepika Soni. 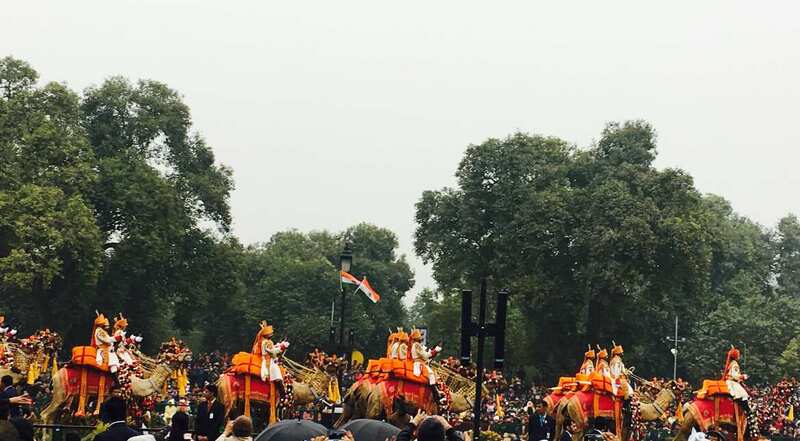 Some of India's top army forces march on an 'aircraft intervention vehicle'. Source: Deepika Soni.